Priced to SELL! Move-in ready pool home with almost 3000 SF located on a quiet back street with a large heavily landscaped back yard. This is a terrific floorplan and there are only a few of these models in the community. This is a split plan with the main living areas and all the bedrooms downstairs and a large bonus room up. The family room is open to the kitchen and dinette area and looks out onto the pool and backyard. The home features beautiful handscraped hardwood floors and newly installed "wood-look" tile. The Kitchen has upgraded granite counter tops and granite backsplash with a center island and breakfast bar. Plantation shutters and high baseboards throughout. The home sits on a large lot with screened in paver lanai with a salt water pool with waterfall and fountain. The master bedroom features trey ceilings. The Master bath has a garden tub, walk in shower, his and her vanities, and a large walk in closet. All of the closets have organizers. 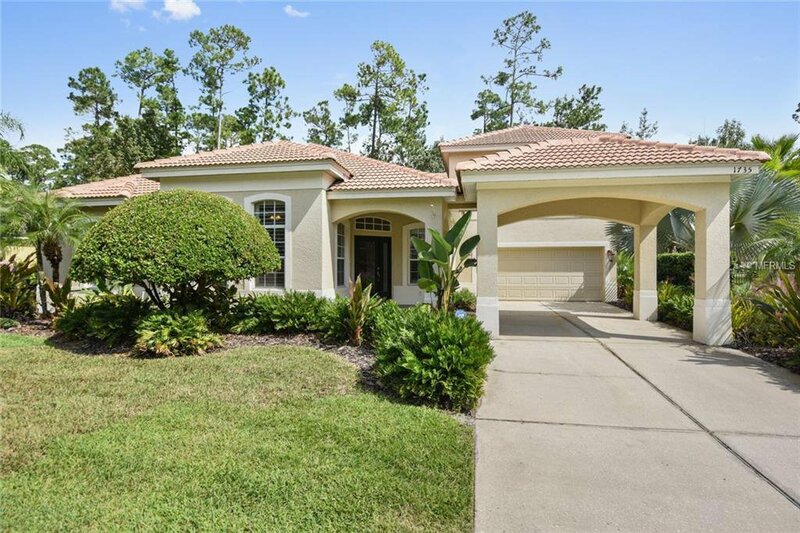 Come see this beautiful move in ready home in the secluded guard, gated Magnolia Plantation. Listing courtesy of LAKES & LINKS INT'L REALTY. Selling Office: NEXTHOME CENTRAL REALTY.